Back to the large projects. Hi folks! I am now working on a very large project. 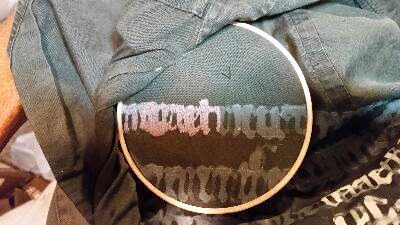 I'm stitching on a shirt and I am doing the text of Beowulf on it. So far, it's coming along very nicely, and stitching over paint has been interesting. More later.